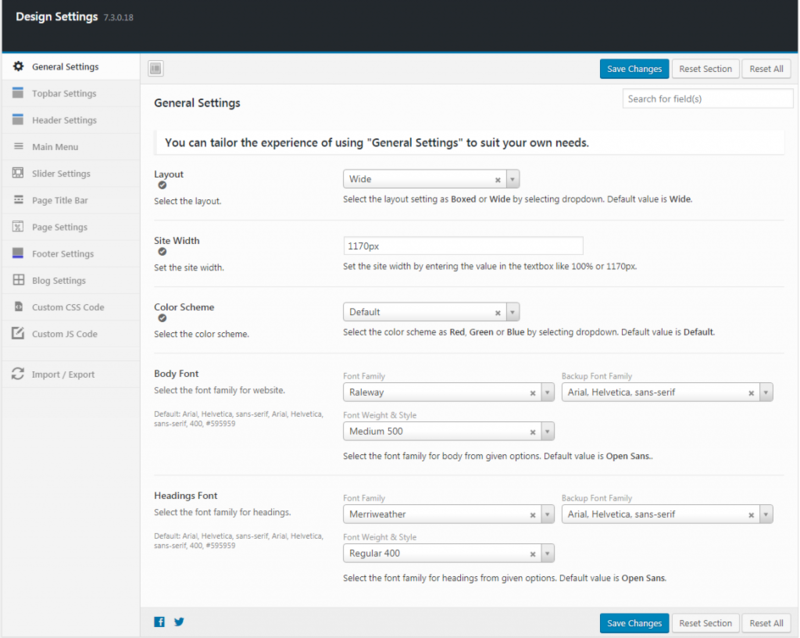 Here you can make general settings for your complete website. This setting allows you to set the layout, site-width, color scheme, body font and headings font. Layout: Select the layout from the pull-down box. Chose between wide or boxed. Site Width: Set the site width by entering the value in the textbox like 100% or 1170px. Color Scheme: Select the color scheme as Red, Green or Blue from the pull-down box. Otherwise, it will show default color. Body Font: Select the font-family, backup font-family and font-weight & style from the available drop-down boxes. Default value is open sans. Headings Font: Select the font-family, backup font-family and font-weight & style from the given options. Default value is open sans. Save Changes: To make your changes effective click on the save changes button. Reset Section: This is to reset the changes that made in the section. Reset All: Click this button to reset all the sections. Show Topbar: Select YES to display the topbar on header and NO to hide the topbar from header. By default it is enabled. You can add content to the topbar from Widgets. 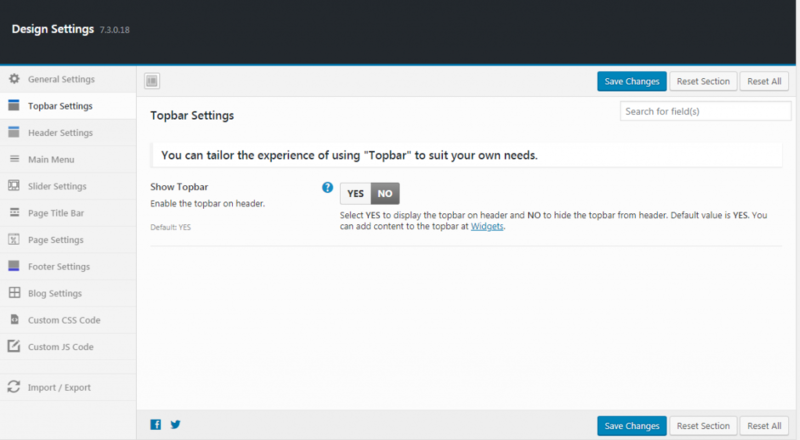 Topbar Wide Layout: Select YES to set the topbar to 100% width of browser and NO to take default width. Default value is NO. Topbar Background Color: Select a background color for topbar. Default color is #FFFFFF (white). Mark tick for background transparent. Click here for color codes. Topbar Text Color: Select text color for topbar. Default color is #333333 (black). Mark tick for link color transparent. Click here for color codes. Topbar Link Hover Color: Select a link hover color for topbar. Default color is #333333 (black). Mark tick for link hover color transparent. Click here for color codes. Select YES to display the header and NO to hide the header. Default value is YES. Select YES to set the header to 100% width of browser and NO to take default width. Default value is NO. Select the header position as Top, Left or Right by selecting dropdown. Default value is Top. Select YES to display the logo and NO to hide the logo. Default value is NO. Select logo image by click on Upload button and simply remove the logo by click on Remove button. Set the height for the logo by entering the value in the textbox or by increasing or decreasing the slidebar. Default height value is 50. Select the alignment for the Logo as Left, Center or Right. Select YES to show the banner and NO to hide the banner. Default value is NO. You can add banner to the header at Widgets. Select YES to show the transparent header and NO to hide the transparent header. Default value is NO. Select YES to show the sticky header and NO to hide the sticky header. Default value is NO. 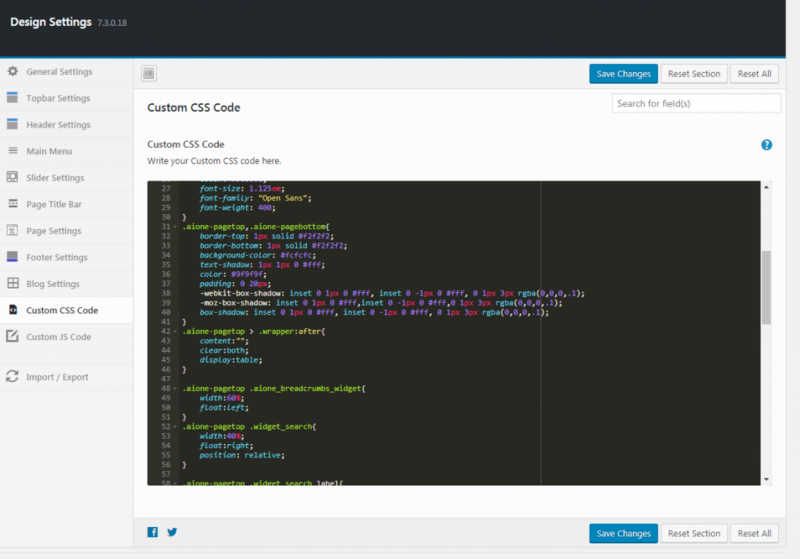 Select YES for more options to customize the style of header. Default value is NO. Default color is #FFFFFF (white). Mark tick for background transparent. Click here for color codes. Default color is #333333 (black). Mark tick for text color transparent. Click here for color codes. Default color is #333333 (black). Mark tick for link color transparent. Click here for color codes. Default color is #333333 (black). Mark tick for link hover color transparent. Click here for color codes. To make your changes effective click on the save changes button. This is to reset the changes that made in the section. Click this button to reset all the sections. Select YES to display the navigation and NO to hide the navigation. Default value is YES. Select YES to set the main menu to 100% width of browser and NO to take default width. Default value is NO. Select the main menu layout as Horizontal or Vertical by selecting dropdown. Default value is Horizontal. Select the main menu position as Inside Header or Outside Header by selecting dropdown. Default value is Inside Header. Select the animation for the main menu by selecting dropdown. Default no animation is selected. 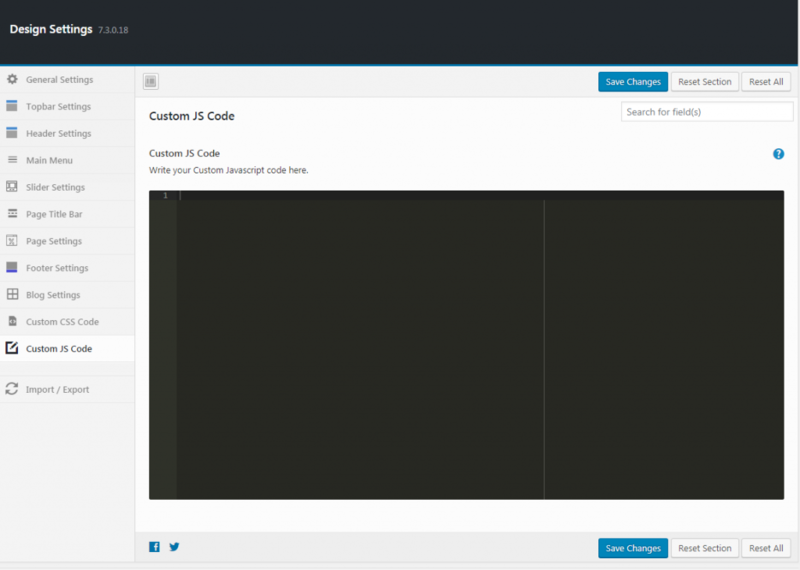 Select the alignment for the main menu as Left, Center or Right. Set the height for the main menu by entering the value in the textbox or by increasing or decreasing the slidebar. Default height value is 50. Select YES for more options to customize the style of main menu. Default value is NO. Default color is #545454 (dark grey). Mark tick for link color transparent. Click here for color codes. Default color is #1570a6 (blue). Mark tick for link hover color transparent. Click here for color codes. Default color is #f2f2f2 (white smoke). Mark tick for link hover background color transparent. Click here for color codes. Default color is #f2f2f2 (white smoke). Mark tick for submenu background color transparent. Click here for color codes. Default color is #1570a6 (blue). Mark tick for link color transparent. Click here for color codes. Default color is #d2d2d2 (light grey). Mark tick for link hover background color transparent. Click here for color codes. This is to reset the changes made in the section. Select YES to display the slider and NO to hide the slider. Default value is NO. Select YES to set the slider to 100% width of browser and NO to take default width. Default value is NO. Select the slider from dropdown. Default no slider selected. Select YES to display the page title bar and NO to hide the page title bar. Default value is YES. Select YES to set the page title bar to 100% width of browser and NO to take default width. Default value is NO. Select YES to show the title on page title bar and NO to hide the title on page title bar. Default value is YES. Select YES to show the description on page title bar and NO to hide the decription on page title bar. Default value is YES. Select YES for more options to customize the style of page title bar. Default value is NO. Default color is #333333 (black). Mark tick for title bar background color transparent. Click here for color codes. Default color is #FFFFFF (white). Mark tick for title bar text color transparent. Click here for color codes. Default color is #FFFFFF (white). Mark tick for title bar link color transparent. Click here for color codes. Default color is #FFFFFF (white). Mark tick for title bar link hover color transparent. Click here for color codes. Select YES to display the further options to customize page top area and NO to hide the page top area. Default value is NO. Select YES to set the page top area layout to 100% width of browser and NO to take default width. Default value is NO. Select YES for more options to customize the style of page top area. Default value is NO. Default color is #333333 (black). Mark tick for page top area background color transparent. Click here for color codes. Default color is #FFFFFF (white). Mark tick for top area heading color transparent. Click here for color codes. Default color is #FFFFFF (white). Mark tick for top area text color transparent. Click here for color codes. Default color is #FFFFFF (white). Mark tick for top area link color transparent. Click here for color codes. Default color is #FFFFFF (white). Mark tick for top area link hover color transparent. Click here for color codes. 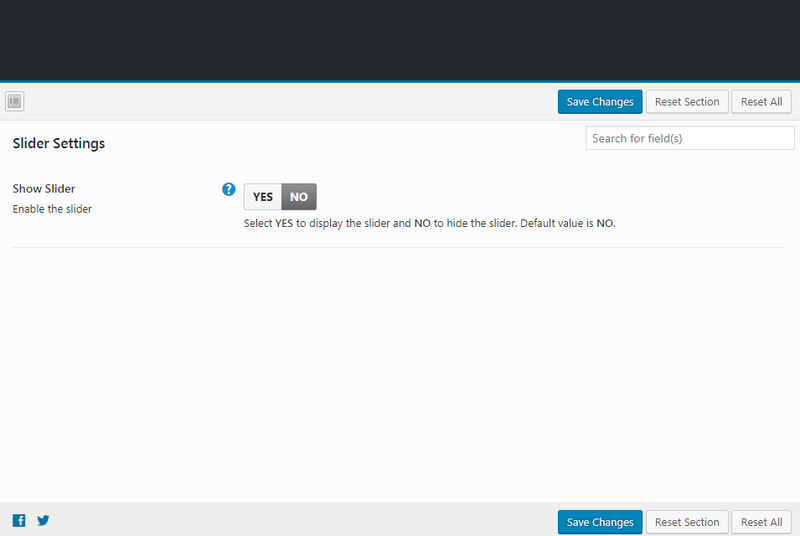 Select YES to display the further options to customize page bottom area and NO to hide the page bottom area. Default value is NO. Select YES to set the page bottom area to 100% width of browser and NO to take default width. Default value is NO. Select YES to display the page padding and NO to hide the page padding. Default value is YES. 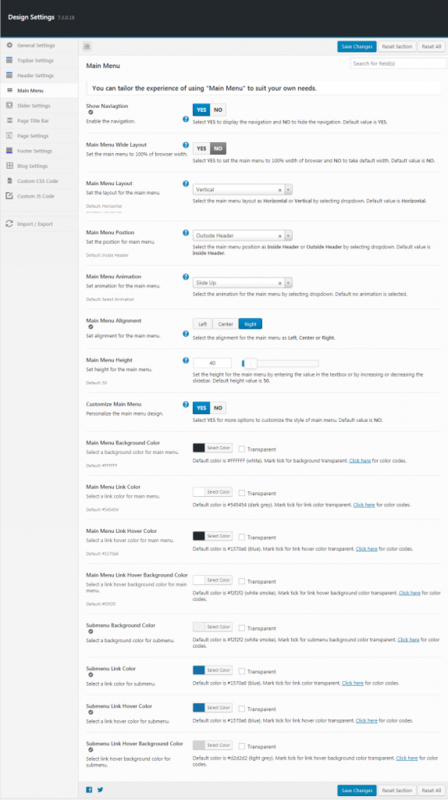 Select YES for more options to customize the style of page bottom area. Default value is NO. Default color is #333333 (black). Mark tick for page bottom area background color transparent. Click here for color codes. Default color is #FFFFFF (white). Mark tick for page bottom area heading color transparent. Click here for color codes. Default color is #FFFFFF (white). Mark tick for page bottom area text color transparent. Click here for color codes. Default color is #FFFFFF (white). Mark tick for page bottom area link color transparent. Click here for color codes. Default color is #FFFFFF (white). Mark tick for page bottom area link hover color transparent. Click here for color codes. Select YES to display left sidebar and NO to hide left sidebar. Default value is NO. Select YES to display right sidebar and NO to hide right sidebar. Default value is NO. Select YES for more options to customize the style of sidebar. Default value is NO. Default color is #333333 (black). Mark tick for sidebar background color transparent. Click here for color codes. Default color is #333333 (black). Mark tick for sidebar heading color transparent. Click here for color codes. Default color is #FFFFFF (white). Mark tick for sidebar text color transparent. Click here for color codes. Default color is #FFFFFF (white). Mark tick for sidebar link color transparent. Click here for color codes. Default color is #FFFFFF (white). Mark tick for sidebar link hover color transparent. Click here for color codes. Select YES to display the content top area and NO to hide the content top area. Default value is NO. Select YES to display the content bottom area and NO to hide the content bottom area. Default value is NO. Select YES for more options to customize the style of page. Default value is NO. Select YES for enable page content padding. Default value is NO. Default color is #FFFFFF (white). Mark tick for page background color transparent. Click here for color codes. Default color is #333333 (black). Mark tick for page heading color transparent. Click here for color codes. Default color is #333333 (black). Mark tick for page text color transparent. Click here for color codes. Default color is #333333 (black). Mark tick for page link color transparent. Click here for color codes. Default color is #333333 (black). Mark tick for page link hover color transparent. Click here for color codes. Select YES to display the footer widgets and NO to hide the footer widgets. Default value is YES. Select YES to set the footer to 100% width of browser and NO to take default width. Default value is NO. Select YES for more options to customize the style of footer. Default value is NO. Default color is #333333 (black). Mark tick for background color transparent. Click here for color codes. Default color is #333333 (black). Mark tick for heading color transparent. Click here for color codes. Default color is #FFFFFF (white). Mark tick for text color transparent. Click here for color codes. Default color is #FFFFFF (white). Mark tick for link color transparent. Click here for color codes. Default color is #FFFFFF (white). Mark tick for link hover color transparent. Click here for color codes. Select YES to display the copyright bar and NO to hide the copyright bar. Default value is YES. Select YES to set copyright bar to 100% width of browser and NO to take default width. Default value is NO. 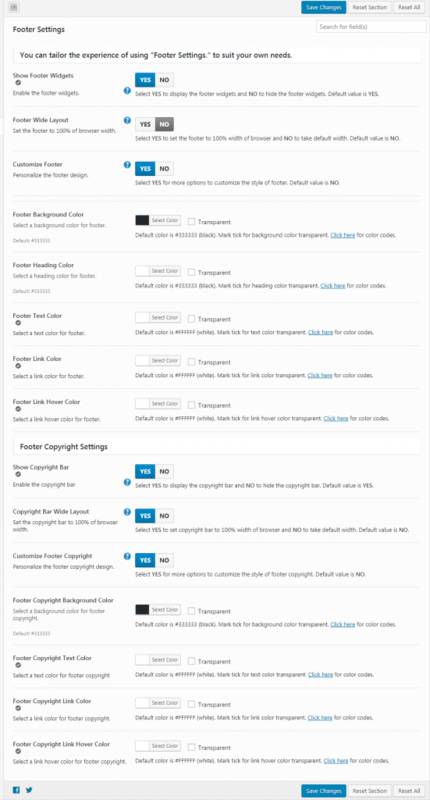 Select YES for more options to customize the style of footer copyright. Default value is NO. Select the layout from dropdown as List, Grid or Timeline. Default List is selected. Select whether to display the grid layout in 2, 3 or 4 columns. Select YES to display the excerpt and NO to hide the excerpt. Default value is YES. Enter the number of words. Select YES to display the featured image and NO to hide the featured image. Default value is YES. 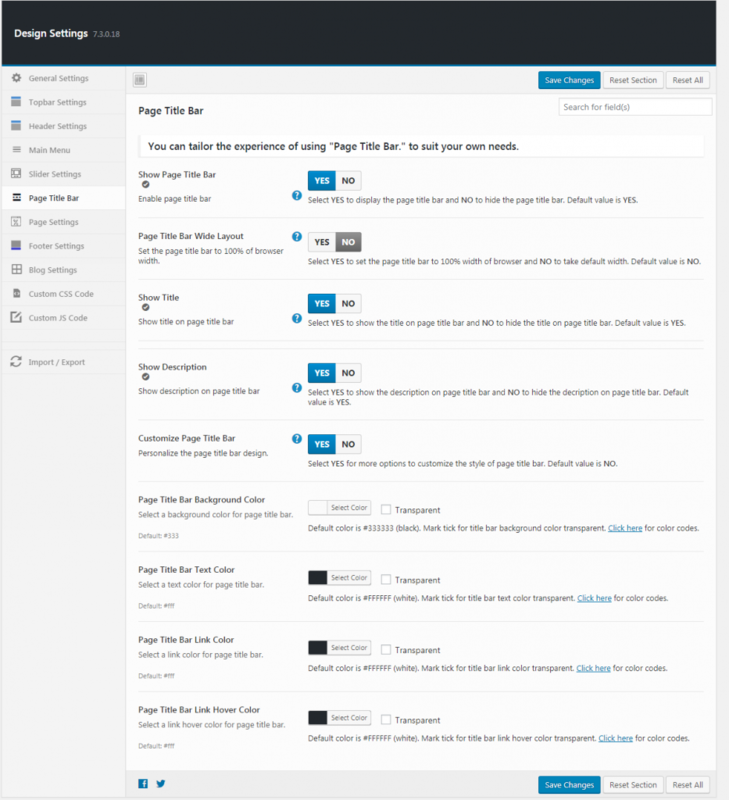 Select YES to display the blog archive title and NO to hide the blog archive title. Default value is YES. 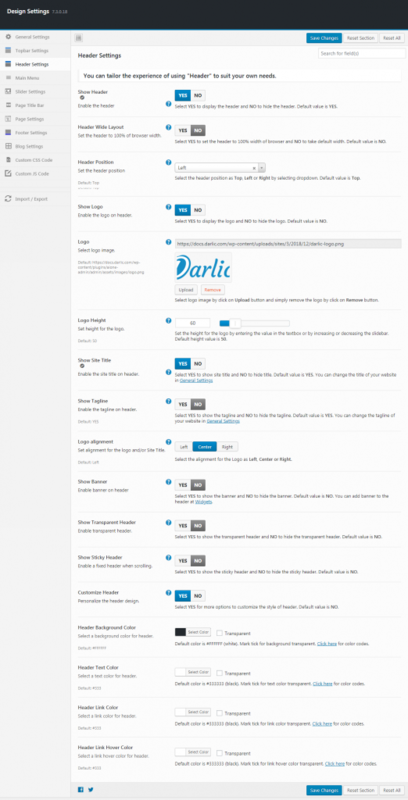 Select YES to display the blog archive page and NO to hide the blog archive page. Default value is YES. Select YES to enable the read more link on blog archive page and NO to hide the read more link on blog archive page. Default value is YES. Select YES to display the date on blog archive page and NO to hide the date on blog archive page. Default value is YES. Select YES to display the author meta on blog archive page and NO to hide the author meta on blog archive page. Default value is YES. Select YES to display the category meta on blog archive page and NO to hide the category meta on blog archive page. Default value is YES. Select YES to display the meta tags on blog archive page and NO to hide the meta tags on blog archive page. Default value is YES. Select YES to display the featured image on blog single page and NO to hide the featured image on blog single page. Default value is YES. Select YES to display the date on blog single page and NO to hide the date on blog single page. Default value is YES. Select YES to display the author meta on blog single page and NO to hide the author meta on blog single page. Default value is YES. Select YES to display the category meta on blog single page and NO to hide the category meta on blog single page. Default value is YES. 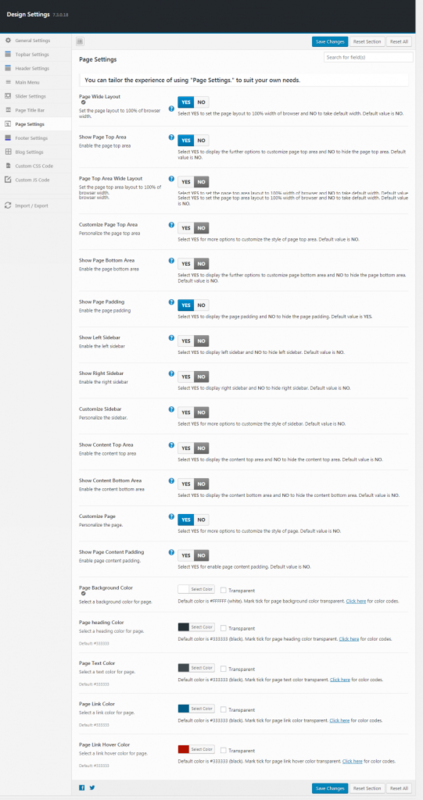 Select YES to display the meta tags on blog single page and NO to hide the tags meta on blog single page. Default value is YES. Select YES to display the comments on blog single page and NO to hide the comments on blog single page. Default value is YES. Select YES to display the social icons on blog single page and NO to hide the social icons on blog single page. Default value is YES. In the provided area you can add custom code. In the provided area you can add js code. Here you can import your options settings. Beware this will overwrite all existing option values, please proceed with caution! 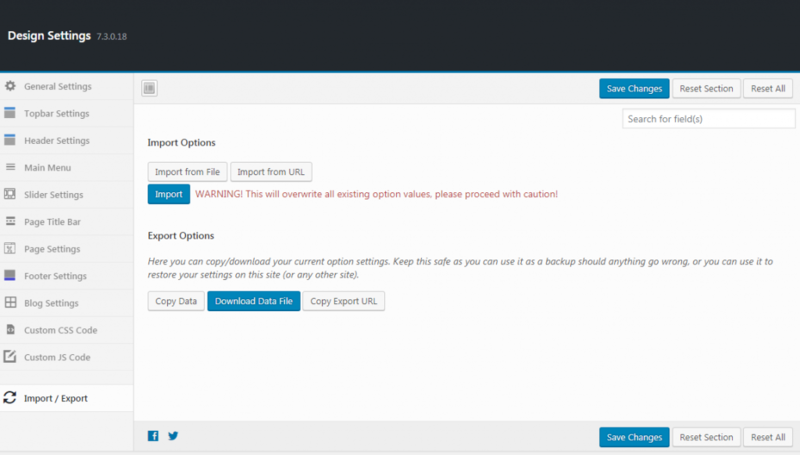 Here you can copy/download your current option settings. Keep this safe as you can use it as a backup as anything could go wrong, or you can use it to restore your settings on this site (or any other site).